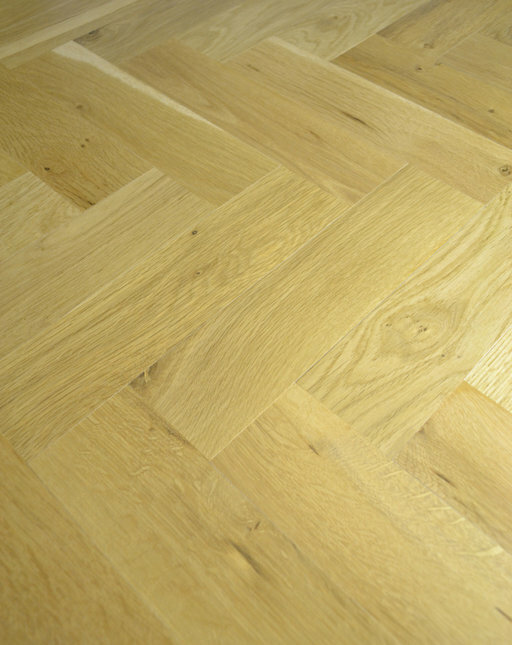 Parquet flooring starts its life from the mid to late 1600's and gets its name from the French word 'parqueterie'. It's made from small blocks or strips of wood which have to be placed in specific order to create patterns that make your eyes enjoy the look. Why choose oak? Well, this species of trees would provide you with a very attractive grain, also it is very durable and looked after can be a reliable flooring for your house for generations. The parquet blocks are solid oak in a natural grade where there might be some minor colour variations and some presence of knots on the surface and have measurements of 20 mm thickness, 70 mm width and length of 230 mm. Fitters for your for only £00.00 excl. Vat, based on the Size of room specified above. Offer is excluding of Accessories and other services. Unfinished products will require additional sealing & finishing service, not included in this quote. Our Final fitting Quotes come with 2 Years Service Guarantee and are subject to an Free site visit (currently London areas only). Smaller sized areas (below 15 sqm) will be subject to a minimum charge.